Torkapparater supplies complete systems including heat supply, dust cleaning and materials handling for drying of traditional biofuels e.g. saw dust and bark. We also work with equipment for combustion and wood pellet manufacturing. We have developed dryers for pellet plants that use our rotary dryer with indirect heat transmission in order to mein tain high efficiency and minimal dust generation. The energy is supplied by means of flue gases from a furnace where parts of the inlet feed is combusted. We also supply systems for industial and municipal sludges and other recycled materials that sometimes are regarded as biosolids. 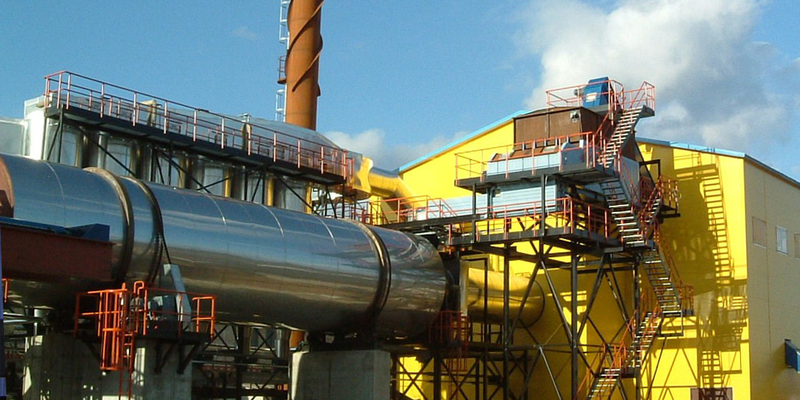 Here you can read about our present references with direct or indirect heat transmission dryers for biosolids.